Doyle Stulting, MD, PhD, Atlanta, presented the Binkhorst Lecture at the 2016 ASCRS•ASOASymposium & Congress on “Predicting and Treating Corneal Ectasia.” In 1998, Theo Seiler,MD, Zurich, Switzerland, reported the first case of corneal ectasia after LASIK, Dr. Stultingsaid, and he postulated that forme fruste keratoconus (FFKC) was a risk factor. From 1996to 2001, Dr. Stulting said that 17 cases of ectasia presented to the Emory Contact LensService. They found 10 eyes of 7 patients with adequate data for analysis of risk factors.Preoperative refraction, preoperative pachymetry, residual stromal bed thickness, and formefruste keratoconus were significant risk factors, with FFKC being the strongest predictor.Later, they found 8 eyes of 8 patients with ectasia, but no apparent risk factors, he said. Bylooking carefully, it seemed that young age could be another risk factor. These patients weresignificantly younger than the ectatic group in previous studies. A later retrospective review of cases reported in the literature and additional unpublishedcases proved young age, high preoperative manifest refraction, low preoperative pachymetry,abnormal topography, and low residual stromal bed to be significant predictors of ectasia, withp values that were impressive, said Dr. Stulting. Dr. Stulting’s group developed an ectasia risk score system (ERSS) that “placed patients atlow, medium, and high risk for corneal ectasia.” Advantages of the ERSS, Dr. Stulting said,are that it measures multiple risk factors simultaneously, it utilizes commonly measuredparameters, and has been verified on a second population. Some of the shortcomings arethe percentages of false positive and false negative rates, its subjective classification oftopographies, lack of consideration of corneal thickness profiles, failure to utilize all diagnostictechnologies, and reportedly poorer performance in recently published clinical studies. The reported sensitivity of the risk score system has fallen over time, he noted. So why doesthe risk score system seem to be failing today? The incidence of FFKC has been falling inectatic eyes in published case reports. The residual stromal bed is going up, and the meanpreoperative corneal thickness is going up as well. These reflect implementation of the riskscore system even if not done consciously or formally, Dr. Stulting said. The mean patientage in ectatic eyes, however, is decreasing because surgeons are still operating on youngpatients, he said. “The elimination of other factors makes age a stronger predictor of ectasia,”Dr. Stulting added. “The ERSS appears to be failing because it’s working,” Dr. Stulting said. “Physiciansavoid surgery on patients with previously publicized risk factors, so new analyses will notidentify risk factors that currently prevent patients from being treated.” Future screeningmethodologies must recognize all risk factors, Dr. Stulting added. Comprehensive ectasia screening should include early cases in future analyses. Alternatively,it could also utilize a 2-step screening process using the original ERSS and newly derivedscreening methods. “The lower incidence of ectasia today makes the scientific comparison ofpredictors challenging,” Dr. Stulting said. Keratoconus is a naturally occurring corneal ectaticdisease. “The lack of progression in later years, we think, is due to physiologic stiffening fromcrosslinking with age,” he said. Dr. Stulting then discussed crosslinking, introduced by Dr. Seiler, and remembered his firstcrosslinking case on January 5, 2008, using the classic Dresden protocol in a physician-sponsored clinical trial. 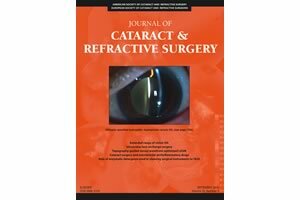 Dr. Stulting noted that complications of crosslinking began to appearin the print literature, including non-healing epithelial defects, corneal haze, sterile infiltrates,bacterial keratitis, and perforation. Most are a result of epithelial removal, he said, but theepithelium is a barrier to riboflavin absorption. So why try epi-on crosslinking? Dr. Stulting said it’s much safer and could possibly be “goodenough.” It can also be repeated with minimal risk if it’s not good enough or could be followedby epi-off crosslinking. Dr. Stulting noted that he previously was a great proponent for epi-off over epi-on but hasrecently been looking more at the latter. He detailed his involvement with CXLUSA (Bethesda,Maryland) to study crosslinking, which offered the opportunity to explore a new technique.CXLUSA used a novel riboflavin formulation; there was no riboflavin applied during UVAexposure to prevent blockage of ultraviolet light; and the technique used pulsed UVA to allowoxygen to better diffuse into the cornea. “The intensity was slightly greater than what hadclassically been described,” he added. CXLUSA researchers saw deep demarcation lines in some patients rather than shallowdemarcation lines seen in previous studies using a commercially available epi-on product, Dr.Stulting said. The penetration of riboflavin was also examined in an animal model, and thestromal concentration was found to rival that obtained after epithelial removal. Dr. Stulting found that at 1 to 2 years, the technique achieved visual results better than someepi-off procedures. There was less risk compared to the epi-off technique. BSCVA improvedby a reduction in HOA. He concluded that retreatment is possible with minimal risk. “Futurerefinements may improve the outcomes of epi-on crosslinking even further,” Dr. Stulting said. On the horizon, he sees non-toxic absorption enhancers and direct measurement of cornealbiomechanics to identify patients at risk, as well as to assess the effect of crosslinking. “Treating ectasia in the future is probably going to be different from what we have today,”Dr. Stulting said. This could include routine topographic screening, baseline biomechanicaltesting, riboflavin drops with non-toxic absorption enhancers, exposure to natural UVA fromthe environment, and monitoring biomechanical changes. “I hope in the future that there will be a transition to a safer epi-on procedure that avoids thecomplications of epithelial removal that we all know so well now,” Dr. Stulting said. Editors’ note: Dr. Stulting has no financial interests related to his comments. This articlewas first published in the July 2016 edition of EyeWorld (21:26). It is used here withpermission.